This product is also available in soy and pea versions! 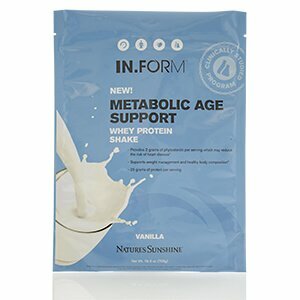 Each serving delivers 20 grams of protein, 2 grams of phytosterols plus dietary fiber and essential vitamins and minerals. 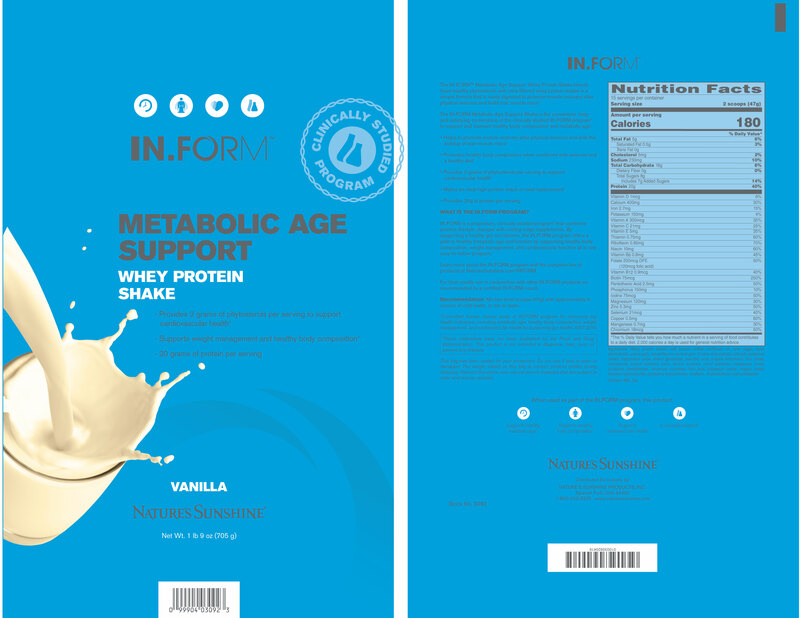 Whey protein isolate, milk protein isolate, sunflower oil, sugar cane, inulin, natural flavors, phytosterols, gum Arabic, canola oil, tricalcium phosphate, sea salt, gum blend, (cellulose gum, xanthan gum, carrageenan), potassium citrate, magnesium oxide, xanthan gum, stevia extract, ascorbic acid, d-alpha-tocopherol, zinc citrate, niacinamide, sodium selenate, biotin, ferrous fumarate, vitamin A palmitate, manganese citrate, folic acid, pyridoxine hydrochloride, thiamin hydrochloride, riboflavin, cholecalciferol, cyanocobalamin. 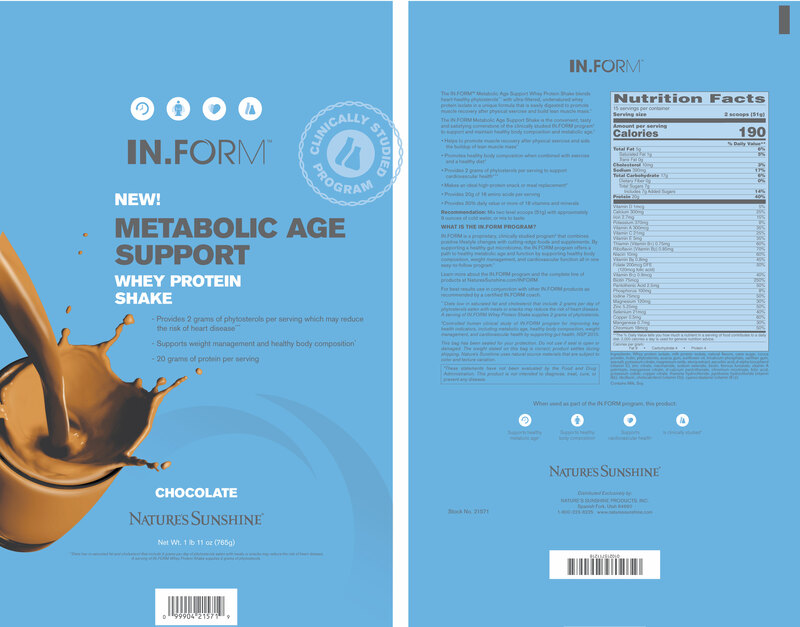 IN.FORM program has to offer, use as part of the complete IN.FORM Metabolic Age Support product line including the Cardio Kit, Berberine and Probiotic products.